There’s still plenty of time to grab your running shoes and help us crack the cancer code! There’s still plenty of time to grab your running shoes and help us crack the cancer code! 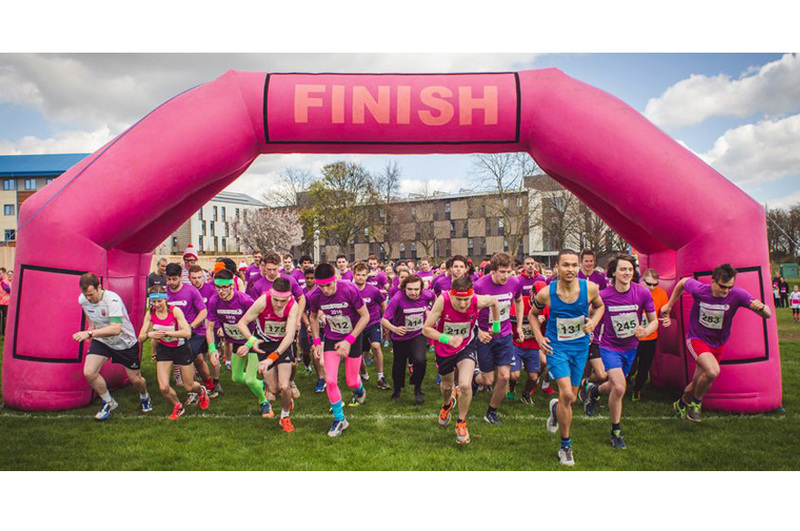 Each year NTU’s John van Geest Cancer Research Centre holds its annual 5km and 1.5km fun run around Clifton campus. Last year the event attracted 300 participants, made up of students, staff, and the general public. The event’s aim is to raise money for life saving cancer research. The race will start at 12 pm on Sunday 29 April, with registration open from 10 am. The day will include musical entertainment, bouncy castles, and a final presentation with prizes! Fancy dress is actively encouraged as there will be a prize for the best costume. Entry for the 5km event includes a chip timer, and you can pre order a t-shirt when you register. Medals are provided for everyone who completes the 1.5km run. There’s plenty of volunteering opportunities for you to get involved without the running. We need people to help with registration, water stations, course marshalling and more. If you want to get involved please contact Stacey.trainer@ntu.ac.uk.